In recent months, I’ve started referring to myself as a “runner.” I don’t know at what point I decided I was cool enough to identify with the likes of Flo Jo and Kara Goucher. But I’m not completely convinced that they would welcome me into the club. I do run. I’ve spent lots of money on running shoes and running gear. I’ve competed in races, and I’ve finished faster than 90% of people at these races. 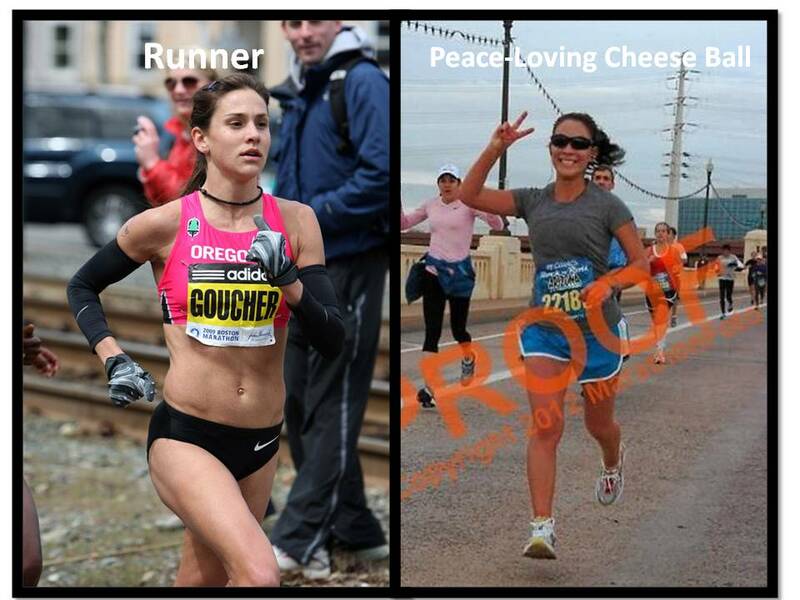 Most of my blog/twitter friends are runners and I usually understand what they’re talking about. But I have yet to run a marathon. My race times still aren’t quite up to par with the times of “real” runners. I also had no clue what Balega socks were until a couple of days ago. And running does not seem to be a priority in my life. I, along with a bunch of other people recently commented on a forum that we love running at sunset. Who knows why I said that. Those sunset runs really are lovely. But I truthfully would rather be lounging on the beach watching that sunset than running through it. Really, I’d rather be doing anything else at sunset than running. And running is considered to be a stress reliever. Most “runners” clear their minds by going for hard long runs after work. Yesterday, I had a long, stressful day. 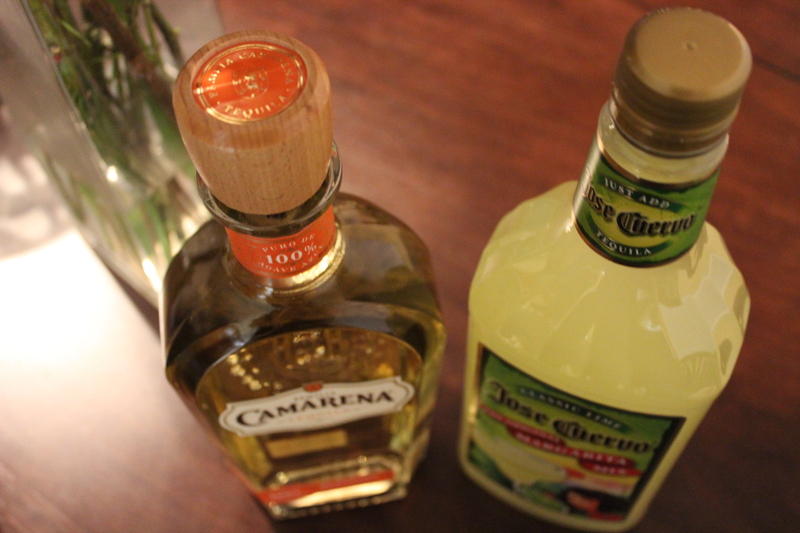 I came home and found a spectacular margarita waiting for me (my husband is seriously amazing). I have never been more excited to see a margarita in my life. Running was THE FARTHEST thing from my mind. In fact, I didn’t run at all yesterday and I had no good reason not to except for wanting to enjoy my margarita while watching Jeopardy. This isn’t what runner people do. Don’t get me wrong. I love running. I love racing and getting faster. I love talking ad nauseam about running. I love reading running related articles. And I dream about all the races I want to do. And I hate myself the day after not working out. But at the end of the day, running isn’t what motivates me. Apparently, margaritas motivate me more. 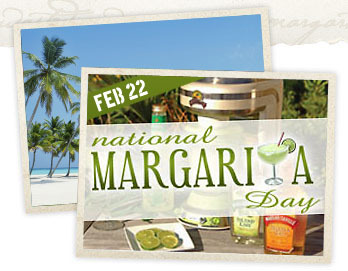 On that note…TODAY IS NATIONAL MARGARITA DAY! So, if you missed National Drink Wine Day on Saturday, now is your chance to celebrate a worthy holiday. Tomorrow is National Chili Day, in case you are wondering. 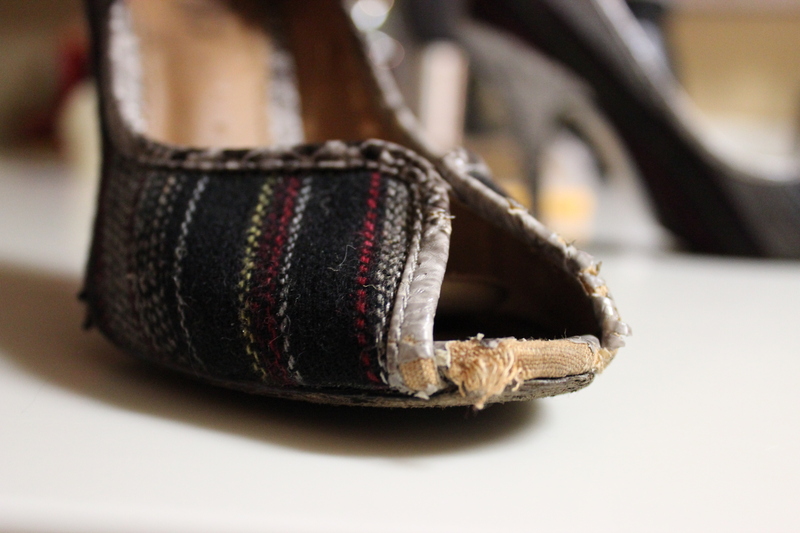 Yesterday I had to say goodbye to one of my favorite pairs of shoes. 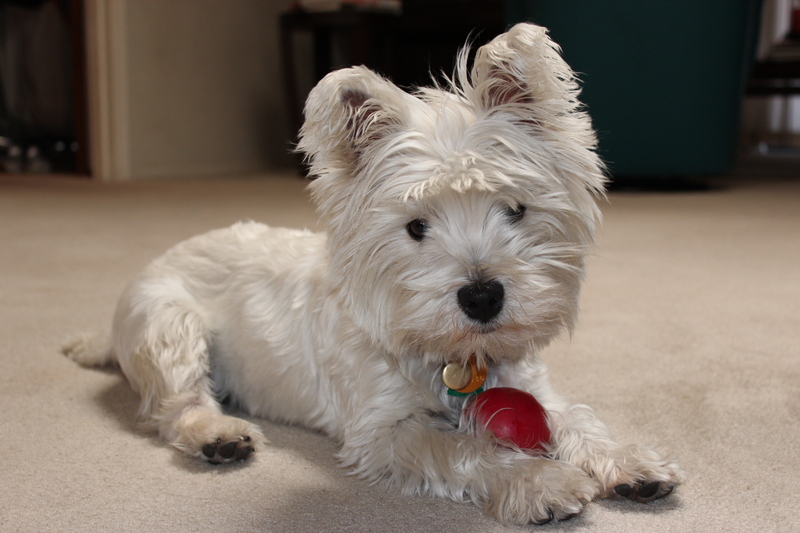 My puppy has destroyed exactly two things in his lifetime. A book about surviving in the wilderness (maybe he was trying to learn something?) and this one shoe. Both were destroyed out of revenge for not including him in our weekend adventures. 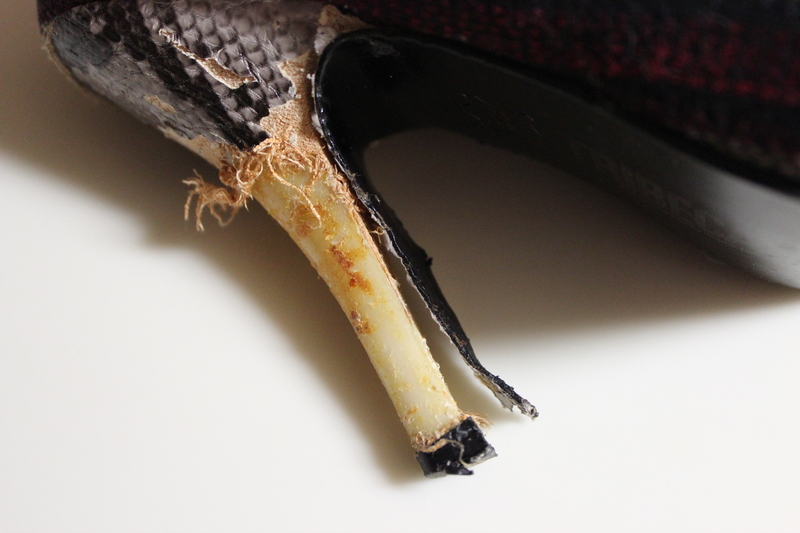 The shoes were starting to show their age (6 years of pretty consistent wear), so maybe this was his way of telling me that wearing ratty shoes isn’t so cute. But still, I felt like I was saying goodbye to friends as I placed them in the trashcan… at the last possible second before the garbage man pulled up. I think I see another margarita in my future. Annnnddd…I may not run again…. (watching Rio!). This totally made me smile!! Great post! Thank you! Happy to make people smile! Runrevolution.com still hasn’t launched…it’s close! But, I did just publicize its Facebook page and twitter account (I am now following you) in anticipation of launching. Follow me and “like” me, when you get a chance. Excited! Done and done! I’m excited as well! Great pictures on the facebook page by the way! You are a yoga champion. I can totally relate to everything you said about running. I am a runner. I have run a few half marathons, but never a marathon, I finish well for my age group, I buy a lot of running shoes and apparel, but I would DEFINITELY give up a run for a margarita! Ah, your shoe! 😦 Dogs will be dogs; my pup snacks on my earphones. I’m similar, if I have a bad day, running is the last thing on my mind. I’d rather relax.. and I wouldn’t worry about a marathon unless you really want to. Puppy-chewed earphones are a bummer, especially if they were some of those sweat proof ones. I’m happy my dog hasn’t destroyed too much, but like you said, dogs will be dogs. Glad to hear that I’m not the only one who doesn’t think running is the most relaxing thing! 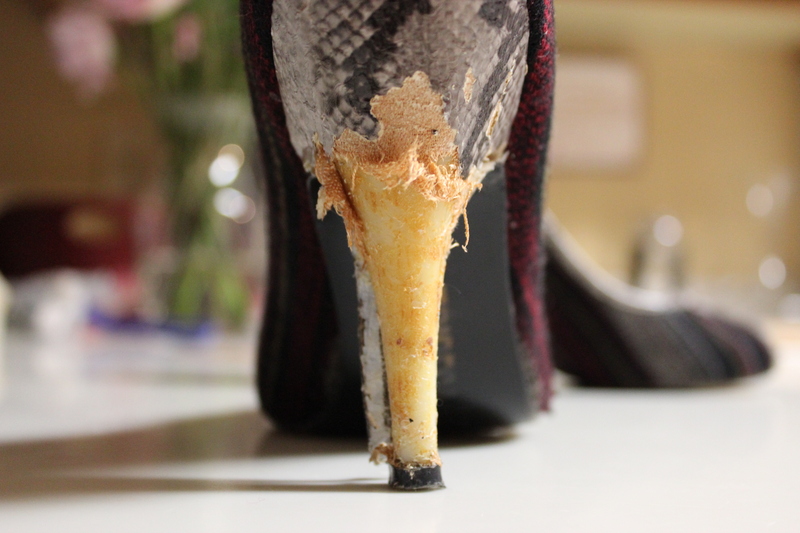 My wife’s parents’ dog ate one of her high heels… We found him with a big ole fuchisa dyed grin on his face. She wasn’t pleased! Oh no! It definitely isn’t a fun thing to come home to. Fun post…this is exactly why I run in the morning…beer, food and Jeopardy motivate me too much, I would probably blow off half my runs if I waited until after work. As for being a runner, I completely understand, I finished my first half marathon the other day and my brother said…you’re a runner now…but I still don’t feel like I belong? I feel like the marathon officially welcomes you into the club, or at least an incredible pace at a half…not there yet. I actually dislike running but it’s what I do to stay in shape and it has helped me become a more disciplined person! I need to get better at running in the morning. Problem is, I also like sleeping! I probably need some more of this discipline. I love sleeping as well…its a terrible combo considering I don’t like running all that much. Thanks for the congrats and the tip that my link isn’t working, I updated the info just in case. You are definitely a runner! Marathons don’t mean much… other than you have a lot of time to devote to extra long training runs. 😉 Glad to have connected with you! Haha! Thanks! Though after watching the USA Indoor Track and Field Championships last night, I’m inspired to take things up a notch!